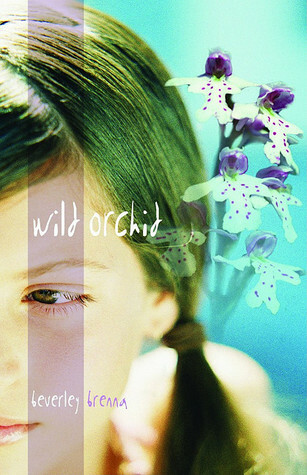 Wild Orchid is about a autistic girl, Taylor at that age where she is becoming an adult. The book is written in her voice as she experiences her first job, first kiss and few other firsts. She and her mother have a normal mother daughter of a teen relationship, but it is unique to see it from her point of view. Taylor’s mom decides that she a Taylor will spend the summer in a state park. While she waits tables Taylor has to fend for herself all day. Taylor sets goals and a daily routine that includes visits to a nature centre and walking the beach seven times. She wants to make a friends and she wants a boyfriend. Though normal aspirations for any 18 year old, they are not easy to accomplish for someone like Taylor. The author does a splendid job placing the reader in the middle of Taylor’s mind. She gives us a glimpse into how an autistic brain may function and reason out normal emotions. I fell in love with Taylor as I experienced her daily dilemmas with her. Not a long story, only 156 pages, but easy to get lost in. Spend an afternoon in Taylor’s imagination, you will be glad you did. 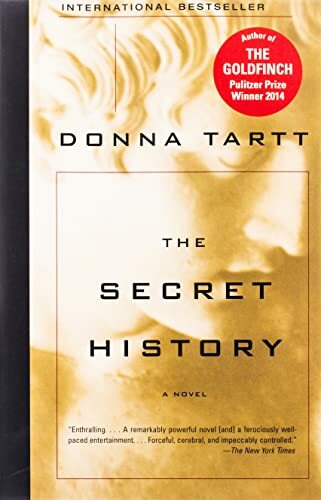 The Secret History is a crime novel from the point of view of one of the criminals. That’s clear from the beginning, so this isn’t a spoiler. Richard Papen is impulsive. He picks his college for arbitrary reasons, one of which is the picture on the college brochure. He chooses his major because overcoming the challenge of signing up for Greek is more important than thinking of his future. Right away we see his decisions are a little strange, but we sympathize with him.He meets a group of eccentric classmates with an even more unusual professor. This book has a feel to it that reminds me of The Dead Poets Society or even the movie, The Breakfast Club. It’s a group of college kids who think they are smarter than everyone else on campus. Add in a bit of psychopathic behavior and it leads to chaos. Tartt has a classical style of prose that is reminiscent of Catcher in the Rye. The characters are easy to relate to, yet at the same time not always comprehensible. This book is not an easy read, but engaging and very difficult to put down. This world is divided into three types of people. Those who love to read, those who don’t love reading or even like reading and those who haven’t learned to read. For those who haven’t learned to read it could be that they are too small yet or just have never had the opportunity. For those who do not like reading, they see reading as a chore, often something that is forced upon them. For those who love reading there is in their ranks levels of reading love. Some just casually read and say they enjoy it. Then there are those who see reading as essential as breathing. I am in that latter group. I am one of those who cannot go a day or sometimes an hour without picking up a book, magazine, web page or a cereal box without reading….I have to read something. Compulsive, certainly. Crazy, insane and not normal, maybe. The only other alternative to reading is writing or working in the library. By working in the library I am constantly reminded that reading is close at hand and knowing that will suffice my reading obsession for a time. By writing I am reading and rereading as I spin the tale in my head and that is just as gratifying as reading some other author’s words, almost. Why do people love reading? What makes the act of holding a book in your hand and reading the printed words on a page so valuable that we often do it for hours and hours on end. How is it that language is such a seductive thing that we must read what others put to paper or screen in such quantities to match the stars in the sky? I have vowed to read 50 books this year and I am far behind schedule. It is not that I am slacking in my love for reading or my desire. I am just a busy person like you. The trick is balancing your love for books and the rest of your life. That can be tricky. When the balancing act gets heavy on the book obsession side then you could be considered insane. If you aren’t careful your family could have you committed. I decided to risk the padded cell and men in the white coats. I chose to read every spare second I can get. I chose to stack books in every free corner in my house. I chose to live, breathe and love books. The second in the Comoran Strike series did not disappoint. This second outing for J.K. Rowling writing as Robert Galbraith continues the story of Cormoran Strike, an intrepid detective and war hero, and his assistant Robin. This story is much darker than The Cuckoo’s Calling and is filled with cruelty and foulness. It was a bit stronger filled with imagery and the style was better. In this story an author, Owen Quine, goes missing and his wife hires Cormoran Strike to find him. Quine is not a popular figure and generally disliked, so the cast of possible suspects is large. Rowling successfully further develops the characters of both Comoran Strike and his assistant, Robin. There is a hint of something more between them, but it is slight. I will certainly continue to read this series. Though it is a second book, you can pick it up easily without having read the first book. The Silkworm stands on it’s own merits very nicely. In this sequel to Parnassus on Wheels, bibliophile Roger Mifflin has temporarily abandoned his traveling bookstore for a more permanent location in Brooklyn. He calls his store the Haunted Bookshop, claiming that it is “haunted” by the ghosts of great literature. One day a young salesman named Aubrey Gilbert enters the store, hoping to persuade Roger to advertise with his firm.The two men have an intense discussion that leaves Aubrey with a newfound appreciation for literature.He starts to visit the store more regularly, he notices something strange: an old and rather obscure volume keeps disappearing from the Haunted Bookshop and then re-appearing without warning. It’s a mystery. This book is just as wonderful as I had hoped it would be. I highly recommend both Parnassus on Wheels and The Haunted Bookshop.